Grandma's Collection is a painting by Patricia Lang which was uploaded on June 12th, 2017. 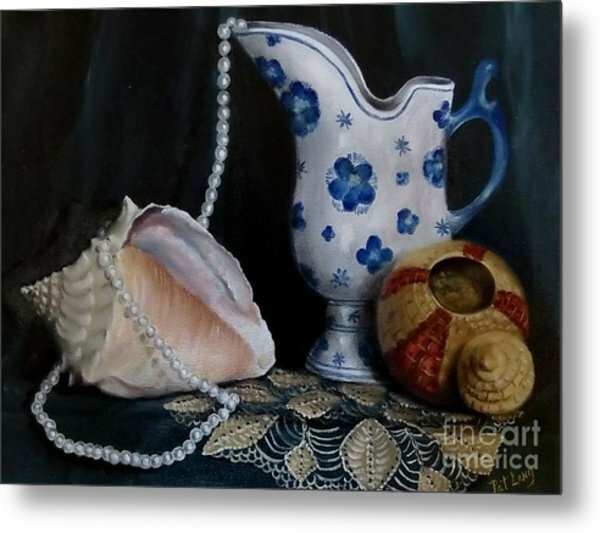 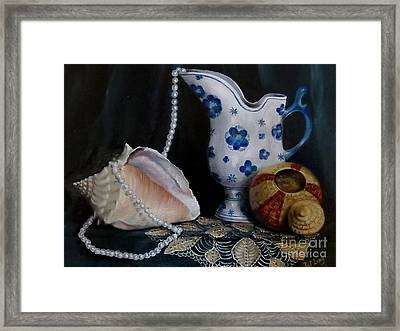 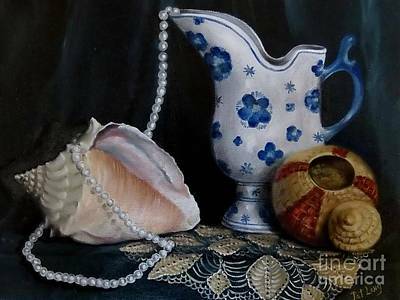 This is a still life painting depicting some memorabilia, such as a shell collected at the sea shore, an old blue and white pitcher, a small basket with a lid; all resting on a lace doily. There are no comments for Grandma's Collection. Click here to post the first comment.